Generally used to relieve pain, ibuprofen is often the go-to med when people experience dental pain, headache, muscle aches, menstrual cramps, and arthritis. It is also commonly used to reduce fever and pain caused by the common cold or flu. While it works effectively, there are many situations when ibuprofen won't work and could be harmful. Let's find out more about it. Ibuprofen is a non-steroidal anti-inflammatory drug (NSAID) and is a commonly used painkiller. However, it may not work the way many other painkillers, like aspirin works. Therefore, you may want to avoid taking in the following situations. Other than low-dose aspirin, taking a painkiller from the NSAID family can increase your risk of experiencing a heart attack. Ibuprofen is also included in this category; in fact, it is found that it may increase the risk of heart attack by up to 50% in some cases. The risk may go up to 75% if you are taking a high dose. You should avoid ibuprofen when you have a heart disease, and you should know that it can be even more dangerous if you are currently taking blood-pressure medication. Do not forget to tell your doctor about your health condition and ask them to prescribe alternative medications to treat pain and inflammation. Be sure to avoid ibuprofen when taking anti-platelets, such as Plavix and anticoagulants (like Warfarin). Your doctor may prescribe anticoagulants to lower your risk of having a stroke. You may have to take anti-platelet in case you have suffered from a pulmonary embolism. It is better to avoid combining ibuprofen with these medications because it significantly increases your risk of having bleeding complications. Taking ibuprofen and other non-steroidal anti-inflammatory drugs can irritate the lining of the intestines and stomach. Therefore, you may want to avoid taking ibuprofen when you are already suffering from digestive issues, such as IBD. Understand that ibuprofen is not going to help anyway to reduce pain associated with Inflammatory Bowel Disease. You experience some relief by taking acetaminophen though. Research shows that NSAIDs can harm the fetus and increase your risk of having a miscarriage, especially when you take these drugs in early pregnancy. They can increase the risk of heart defects in the fetus when taken in the third trimester. Some studies have found that ibuprofen taken during your first trimester can significantly reduce the egg development in the fetal ovaries, which is a serious issue when you are pregnant with a baby girl. It is also important to avoid ibuprofen to subside labor pain because it can actually increase the risk of excessive bleeding. It was thought that ibuprofen may help treat urinary tract infections by alleviating pain and reducing recurrence, but there is not enough scientific evidence to support its use. Some studies show that ibuprofen works only when prescribed with an antibiotic. Moreover, it may take longer to recover when you take ibuprofen as compared to when an antibiotic is administered. How many times have you taken ibuprofen for your headache before going to a party? Studies show that you should avoid this common mistake and never take ibuprofen before enjoying cocktails. Alcohol is an irritant and directly affects the lining of the stomach, and taking ibuprofen in this situation will only increase your risk of stomach ulcers. If you drink too much after taking ibuprofen, it can also increase your risk of liver damage. Prostaglandins help promote healing, but the inflammation in your body triggers the release of enzymes that slow down the production of those healing substances. People take Ibuprofen to reduce inflammation, but it may not be a good idea when you have asthma. Studies have shown that asthmatics are more likely to be sensitive to NSAIDs, such as ibuprofen, and it could lead to life-threatening consequences. Be sure to talk to your doctor if you have asthma and want to take ibuprofen to treat your pain. It is common to see serious athletes take an Advil before a tough workout session. 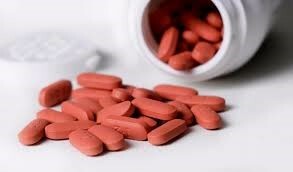 The truth is that taking an NSAID before a workout is not going to help; in fact, it could prove quite harmful as well. It is better to stay away from ibuprofen before your workout because it would keep you from listening to what your body says during a workout. If you get a cramp or pull a muscle, you should stop immediately, but ibuprofen may mask the feeling of pain, which in turn leads to a more serious injury. Taking ibuprofen may also increase your risk of kidney damage while engaging in strenuous workout sessions. It happens because extreme workouts put a serious strain on your kidneys by diverting blood to the muscles being used and taking ibuprofen in this situation can be even more taxing for the kidneys. Therefore, it is better to stay away from ibuprofen when engaging in tough workouts. Most people take ibuprofen to treat arthritis pain, but it is better to avoid it in the first place because of its side effects related to the cardiovascular and gastrointestinal systems. People with a history of stomach issues and heart disease should stay away from ibuprofen, so avoid it when you have arthritis with these complications. Taking ibuprofen for rheumatoid arthritis and osteoarthritis can increase your risk for hypertension, which is another reason why you need to avoid it and ask your doctor to prescribe something else. Can You Overdose on Meth?